Is one of your New Year’s resolutions to eat a healthy and balanced diet? As we near the end of January, it’s easy to lose inspiration. There are ton of simple and easy dishes you can try to stay on track. 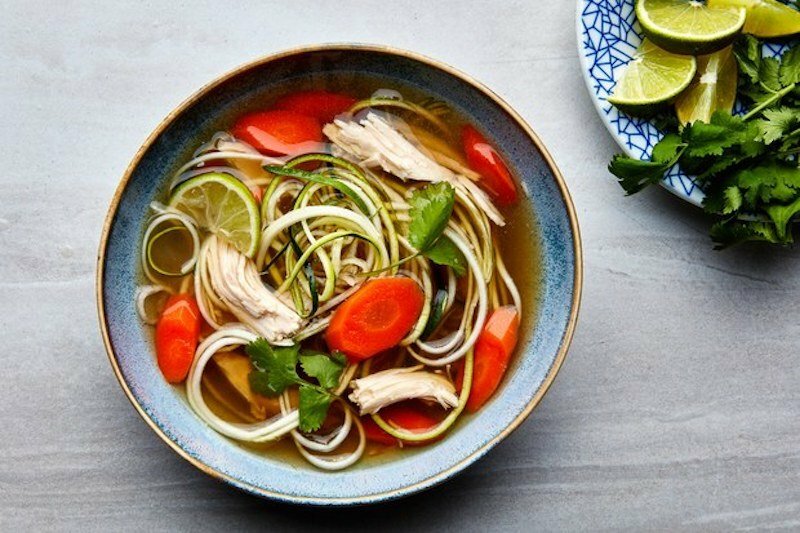 From pesto shrimp to chicken zoodle soup, here are our 5 favourite healthy recipes you need to try this year. 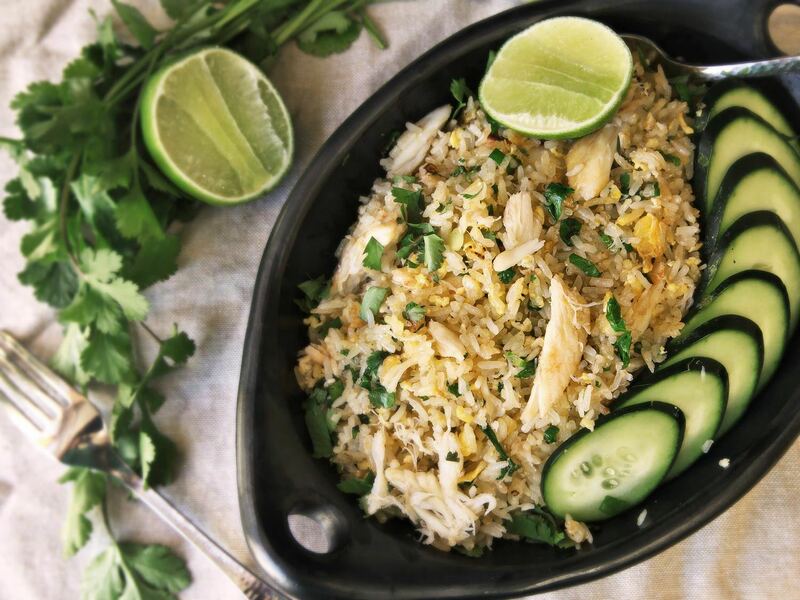 Escape to Thailand with this Thai style crab fried rice recipe from seriousseats.com. Serve with cucumbers, lime and fresh parsley for a warm and fresh meal. With the help of your wok, you can serve 2-3 in just 10 minutes. 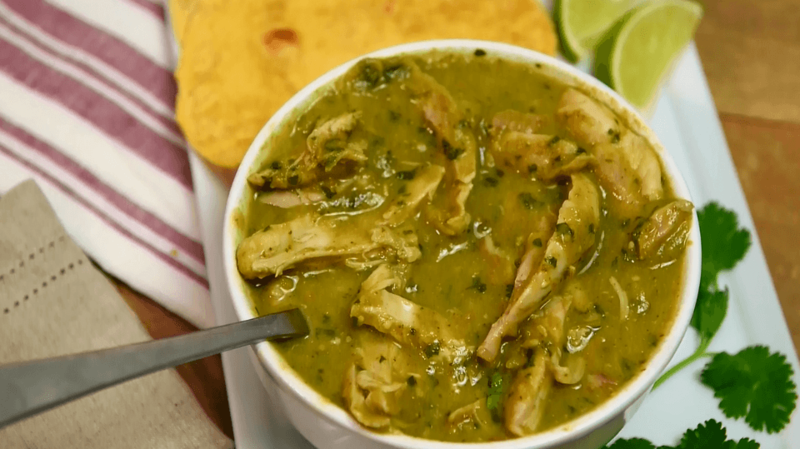 Keep warm this season with this simple chicken chile verde from clubchefman.com. 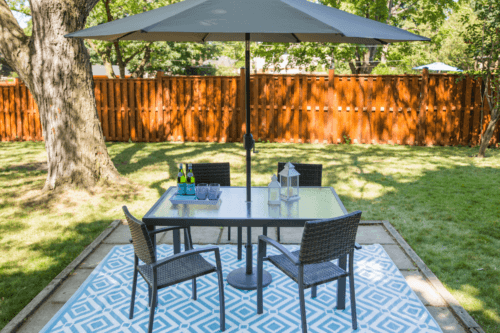 Products like pressure cookers and slow cookers make cleaning up after a day a breeze. Cook this delicious and hearty dinner for your entire family in just 30 minutes. Your trusty spiralizer is an easy way to add those extra veggies into your meals. Want to give your immune system the boost it deserves? Try this ginger infused chicken zoodle recipe from epicurious.com. Find this recipe and more Amazing Spiralizer Recipes We’re Loving Right Now on our blog. Transport yourself to the Mediterranean with this three ingredient recipe. 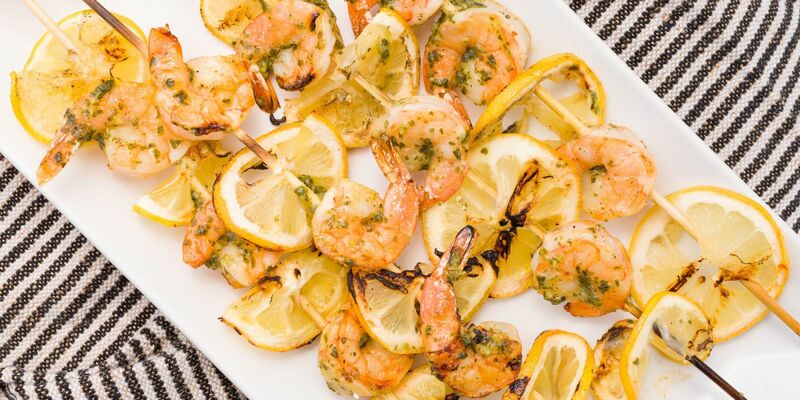 This simple pesto shrimp from delish.com is perfect for those late nights where you find yourself scrambling to put something on the table. Use a grill pan instead of a regular pan to cook your skewers evenly in just 25 minutes. Have you tried lemon blueberry pancakes yet? 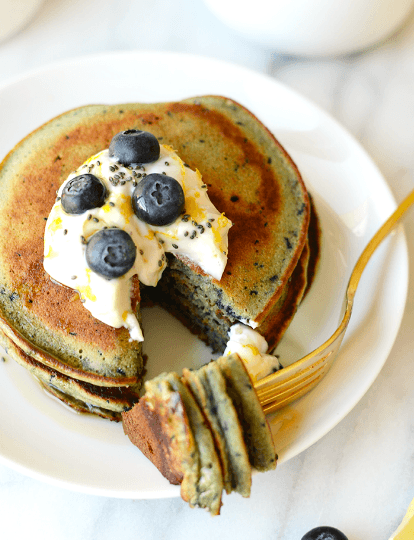 This simple pancake recipe on Fit Foodie Finds is sure to take your tastebuds to another level. Serve breakfast in under 15 minutes with this sweet recipe. Bonus: It’s dairy-free. There are tons of food combinations you can blend together (and they don’t always have to be smoothies 😜). If you’re looking to add some nutritious blendable recipes to your life, get ready. 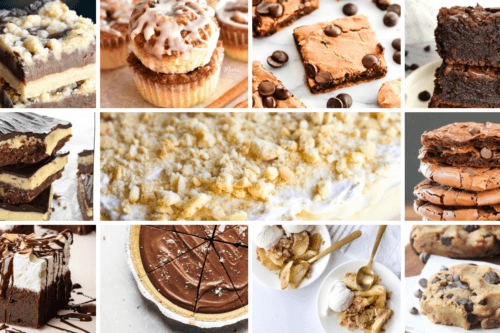 Check out our entire blog post dedicated to all the fun recipes you can make from your home. Read our full list of 7 Healthy & Tasty Blender Recipes To Kick Off Your New Year here. Looking for more recipe inspiration? 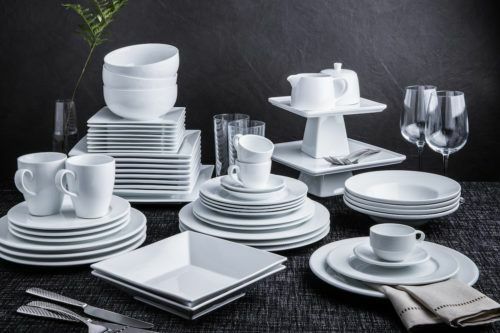 We have tons of recipe ideas perfect for entertaining or pleasing your house’s toughest critics. Be sure to share your recreations with us! Tag us on Instagram @kspstuff and show us what you’re making. Check us out on Facebook for our latest promotions and discounts this year.